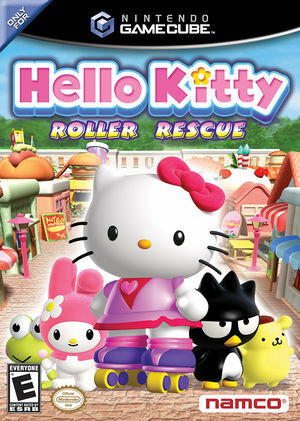 Hello Kitty Roller Rescue, known in Japan as Hello Kitty Mission Rescue (Hello Kitty 友情總動員), is an action-adventure video game developed by XPEC Entertainment. The game is based on the Hello Kitty characters. The game also features exclusive character designs by Hunter Roberson and Rhett Deal. The graph below charts the compatibility with Hello Kitty: Roller Rescue since Dolphin's 2.0 release, listing revisions only where a compatibility change occurred.